Anagrams are those words which are formed by the letters of the same word by manipulating the positions of the letters. If you think that there are millions and billions of combinations which can be formed during the making of anagrams, then you’re right. We have designed everything in such a way that it covers each and everything which is in the dictionary and outside of it as well. As we told you earlier that, there are many words and their transformations which certainly don’t have any meanings but you still can use them in your any cases to make your article/content look different. 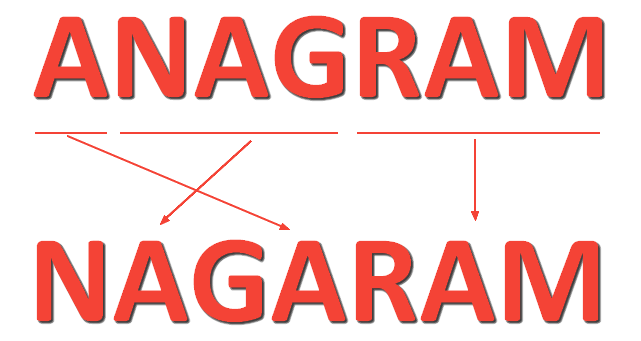 You must be wondering about “5 websites to make your name Anagram” and we have collected the data for the best 5 websites which can take your name to convert into Anagrams. So, without wasting any further time, let’s move to the names. Anagrammaker.online is our Anagrams maker first choice because they provide you a lot of option and conversions option which can make your anagram look so good. The website is fully designed in such a way that it is eye-catching and very classy. All you have to do is to enter the name which you want to convert in Anagram and then click on the generate button, you’ll get your desired result within a fraction of seconds. Anagrammaker.online has such a simple and sober user interface that helps a person to just go and make your wish come true. Including all the things, this anagram maker has a guideline for you as well. You can check about the anagrams by clicking on the description button. You’ll then get to know why they are our first choice. This anagram generator has made it to our second number of Anagram Generator because this anagram generator provides you with a lot of options for converting anagrams into different languages. You can create anagrams in French, German, Italian, Swedish and a lot more languages. Inge’s Anagram Generator is a treat for all those who want their name to convert into anagram. Wordplays Anagram solver is another anagram generator which provides you the facility of converting your name into anagram with a lot of options. You can generate a lot of anagrams for your single name and can select the letters of your name as well. You can convert your anagram name into different languages as well. That’s why this generator has made it to 3rd number of our Anagram’s list. Future Boy Anagram generator has made it to our list at 4th number because this anagram generator can make your name look so great. This anagram generator has a lot of options for your conversion. For example it has the option for converting your anagrams into different languages and also you can select the numbers of anagrams and numbers of letter in it when generating the Anagrams. The list of choosing the conversion of Anagrams is way more wide but we’ve selected 5 best Anagram’s generator to make sure that you can have a quality time while conversion. Andy’s Anagram Generator has made it to the top 5 best websites to make your name anagram because it has the options of converting your name into anagram with Languages, Limit of the words and choosing words from the dictionary. This was the reason why we choose Andy’s Anagram Generator.